Since I've been doing the Ultimate Colon Cleanse for the past couple of weeks, I have been drinking fiber shakes every morning. If I'm lazy I will just mix the fiber with distilled water and 1/4 tsp of Vitamin C crystals. 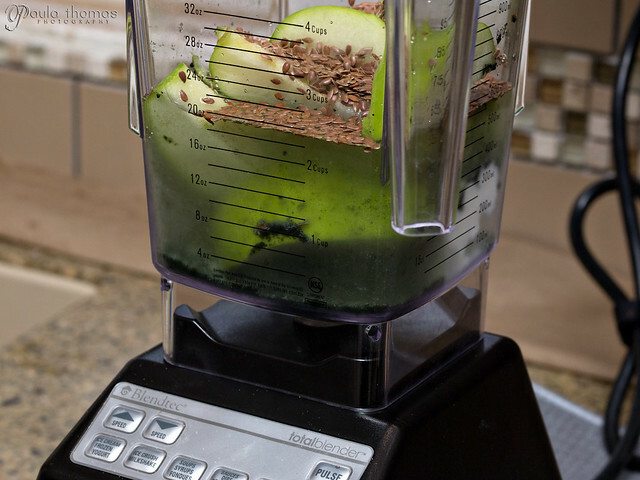 If I'm not lazy I'll get out the Blendtec and make a smoothie. I usually alternate between strawberry, blueberry, raspberry and green apple smoothies. With the candida diet there aren't very many fruits you can eat since they contain sugars. Berries are apparently ok and green apples supposedly have less sugar than other types. 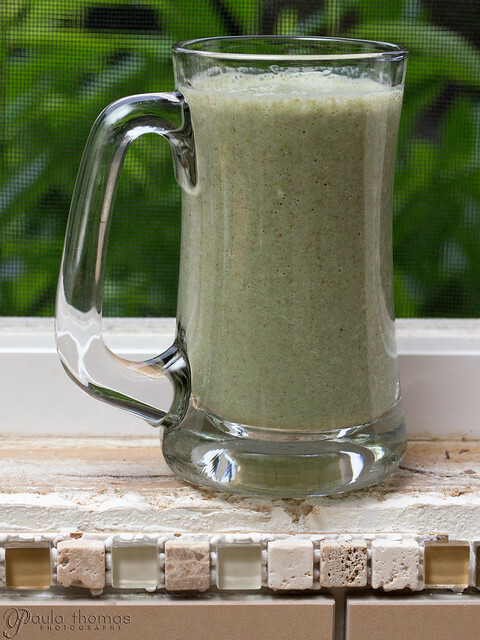 I thought I'd share one of my favorite smoothie recipes that I make at least once a week or some variation of it. I have both chia seeds and flax seeds and will alternate between the two. I also have some stuff called Super Seed by Garden of Life that is a ground up mix of various high fiber seeds, sprouted grains and legumes. If you're not familiar with Sun Chlorella, it is a green algae superfood that helps to detoxify your body. I'm not too fond of the taste of it but it's not so bad when mixed with a smoothie like this.